Limited to major philosophers, i.e. omitting "professors with home pages" as far as possible. Many major philosophers have etexts in various sites across the web but no central page collecting them all together. For them see the section on Etexts. Also see the sections on Associations, Bibliographies, and Quotations. For philosophers not on this list, try the Internet Encyclopedia of Philosophy, the Stanford Encyclopedia of Philosophy, and/or the Hippias search engine. Nicola Abbagnano. From Rosanna Panelli Marvulli. Abelard. Essay by William Turner, no links. Theodor Adorno. From Carsten Allefeld. Theodor Adorno From Evelyn Wilcock. Albertus Magnus. From Al Pinto. Hans Albert. Also available in German and French. From Hans-Joachim Niemann. Aquinas. From the Thomas Instituut Utrecht. Aquinas and Thomism. From Joseph Magee. Aristotle's Political Philosophy. From Clifford Bates, Jr. Annoying music. Augustine. From James J. O'Donnell. Michael Bakunin. From the Anarchy Archives. Karl Barth. From Katharena Eiermann. Georges Bataille. Archive of a mailing list. Jean Baudrillard. Archive of a mailing list. Jean Baudrillard. From Alan Taylor. Pierre Bayle. From Gianluca Mori. Cesare Beccaria. From Giuseppe Bonghi. In Italian. Walter Benjamin. From Scott J. Thompson. Jeremy Bentham. From Jonathan Harris. Nicholai Aleksandrovich Berdyaev. From Dirk H. Kelder. Also see the related Berdyaev Online Library from Fr. Stephen Janos. Bergson. From Jordi Cortés. In Spanish. Jakob Boehme. From Edward Beach. Jakob Boehme. From Bruce Janz. Boethius. From James J. O'Donnell. Bernard Bolzano. From Francesco Coniglione. C. D. Broad. From Andrew Chrucky. Giordano Bruno. From John Kessler. Martin Buber. From Andreas Schmidt. In German. There is also an abridged English version. Gustavo Bueno. From the the Fundación Gustavo Bueno. Edmund Burke. From J.H. Smeenge. Albert Camus. From Jorge Luis Rodr�guez Gutiérrez. In Portuguese. Albert Camus. From Christopher Scott Wyatt. Noam Chomsky Archive. From Tom Lane. Leon Chwistek. From Francesco Coniglione. E. M. Cioran. From Evan Goodwin. E. M. Cioran. From Donald W. Taylor II. This site has disappeared without a trace. Can anyone help locate it? August Comte and Positivism. From Emmanuel Lazinier and Eric Dupuis. Mostly in French so far, but more English portions are forthcoming. Anne Conway. From Peter King. Anne Conway. From Bill Uzgalis. Critical Theory Archives. Archive of a mailing list. Donald Davidson. From Vlaldimer Kalugin. Donald Davidson. From Volker Meurer. Simone de Beauvoir. From Mélanie Garneau. Simone de Beauvoir. From Christopher Scott Wyatt. Gilles Deleuze. From Richard Pinhas. In French. Gilles Deleuze and Felix Guattari. Archive of a mailing list. Gilles Deleuze and Felix Guattari. From Stephen O'Connell and Graham Jones. Gilles Deleuze and Felix Guattari. From Alan Taylor. Daniel Dennett. His home page at Tufts University. Jacques Derrida. From Peter Krapp. Jacques Derrida. From Timothy R.S.Leuers. Jacques Derrida. From Horacio Potel. In Castilian. John Dewey. From David Hildebrand. John Dewey. From William Marmie. John Dewey. From John Shook. Diogenes of Sinope. From Colin Pringle. Herman Dooyeweerd. From the Dooyeweerd Centre at Redeemer College, Ancaster, Ontario. Emile Durkheim. From Robert Alun Jones. Very well done. Meister Eckhart. From the Eckhart Society. Meister Eckhart. From Steve Shanks. Jonathan Edwards. From Mark Trigsted. Jon Elster. From Hans O. Melberg. Emerson. Under construction. Also available in Italian. From Roberto Piccoli. Annoying music. Frederick Engels. From the Marx/Engels Internet Archive. Epicurus and Epicureanism. From Vincent Cook. Ludwig Feuerbach. From Andreas Schmidt. In German. Paul Feyerabend. Archive of a mailing list. Ludwig Fleck. From Francesco Coniglione. Henry Flynt. From John Berndt. Michel Foucault. Archive of a mailing list. Michel Foucault. From Ben Attias. Michel Foucault. From Clare O'Farrell. Michel Foucault. From Patrick Jennings. Frankfurt School. Archive of a mailing list. Gottlob Frege. From Werner Stelzner. Gottlob Frege. From Edward Zalta. Sigmund Freud. From the Austrian National Tourist Office. Sigmund Freud. From Marc Fonda. Sigmund Freud. From PsicoNet. In Spanish. Freud and the Freud Archives. From The Abraham A. Brill Library of the New York Psychoanalytic Institute. Jakob Friedrich Fries. From Kelley Ross. Also see The Friesian School. R. Buckminster Fuller. From Kirby Urner. Hans-Georg Gadamer. From Etsuro Makita. Ernest Gellner. From Jeffrey Cormier and Philippe Couton. Arnold Geulincx. From Han van Ruler. Kurt Gödel. Correcting commonly heard mistakes and simplifications. From Torkel Franzen. Kurt Gödel. From Hollis Marek. William Godwin. From the Anarchy Archives. Emma Goldman. From the Anarchy Archives. Balthasar Gracian. From Wolke and Dechering. Gregory of Nyssa. From David A. Salomon. Robert Grosseteste. From James Ginther. Jürgen Habermas. Archive of a mailing list. Friedrich Hayek. From Greg Ransom. Hegel. Archive of a mailing list. Hegel. From Brian Manning Delaney. Hegel. From the Hegel Society of America. Hegel. From Stephano Kalb. In Esperanto. Hegel. From Christopher Scott Wyatt. Hegel by Hypertext. From Andy Blunden. Heidegger. The Ereignis site from Pete. Heidegger. From Christopher Scott Wyatt. Hellenistic Philosophy. From Pedro Cuevas. In Spanish. Hobbes. From Nicola Caleffi. In Italian. A portion of the site is in English. Ulrich Horstmann. From Frank Müller. In German. Hume Archives. From Jim Fieser. Hume. From D. Tycerium Lightner. Husserl. Especially in relation to art and architecture. From Parviz Mohassel. Husserl Archive. University of Köln. The Husserl Database. From Shinji Hamauzu. Also available in Japanese. The Husserl Page. From Bob Sandmeyer. Husserl. From Christopher Scott Wyatt. Husserlian Phenomenology. From Richard Knight. Hypatia of Alexandria. From Howard Landman. William James. From Marc Fonda. William James. From Frank Pajares. William James. From Owen Thomas. Karl Jaspers. From Christopher Scott Wyatt. Thomas Jefferson. From Eyler Robert Coates, Sr.
C. G. Jung. From Donald Williams. Kant. Anonymous. University of Marburg. In German, with a small portion in English. Kant and German Idealism. From Stephan Huber. Also covers Fichte, Schelling, and Hegel. In German. Kierkegaard. From D. Anthony Storm. Kierkegaard. From Christopher Scott Wyatt. J. Krishnamurti. From Dirk Lutzebäck. J. Krishnamurti. From Devendra Singh. U.G. Krishnamurti. From Anthony Nahas. Peter Kropotkin. From the Anarchy Archives. Thomas Kuhn. From Tim Healy. Imre Lakatos. Part of the MacTutor History of Mathematics. Julien Offray de La Mettrie. From Gruesse von Bernd A. Laska. Corliss Lamont. From the Half-Moon Foundation. Leibniz. From the Metaphysics Research Lab. Vladimir Ilyich Lenin. From the Lenin Internet Archive. Stanislaw Lesniewski. From Francesco Coniglione. Emmanuel Levinas. From Peter Atterton. Alain Locke. From Talmadge Guy. John Locke. From Daniel Kian McKiernan. Bernard Lonergan. From Paul Allen and Peter L. Monette. Jan Lukasiewicz. From Francesco Coniglione. Jean-Francois Lyotard. Archive of a mailing list. Hugh MacColl. From the Nordic Journal of Philosophical Logic. Errico Malatesta. From the Anarchy Archives. Ernst Mally. From the Metaphysics Research Lab. Mao Tse-Tung. From the Marxist Internet Archive. Ernst Moses Marcus. From Gerd Hergen Lübben. Jacques Maritain. From the Jacques Maritain Center at the University of Notre Dame. Karl Marx. From the Marx/Engels Internet Archive. Marxism. From the Spoon Collective. Marxistiskt forum. From Mattias Nilsson. In Swedish. George Herbert Mead. From Lloyd Gordon Ward and Robert Throop. Alexius Meinong. From the Metaphysics Research Lab. No links. Maurice Merleau-Ponty. From Chrisopher Scott Wyatt. Mary Midgley. From Nick Matzke. Mill. From the Akamac E-Text Links. John William Miller. From the Miller Fellowship Fund, Williams College. Ñánavíra Thera. From Jakub Bartovsky. Leonard Nelson. From Kelley Ross. Nietzsche. Drawing on four pre-existing Nietzsche sites. Nietzsche From Jens Dechering. In German. Nietzsche. From Kontakt. In German. Nietzsche. From Horacio Potel. In Castilian. Nietzsche. From Douglas Thomas. Searchable. One of the exemplary pages on an individual philosopher. Nietzsche. From Christopher Scott Wyatt. Rudolf Otto. From Gregory Alles. Rudolf Otto. From Kelley Ross. Parmenides of Elea. From Allan Randall. Jan Patocka. From the Institute for Human Sciences (Vienna). Charles Sanders Peirce. From Brian Kariger. Charles Sanders Peirce. From Joseph Ransdell. Alvin Plantinga. From Michael Sudduth. Plato. From José María Filgueiras Nodar. In Spanish. Plato and his Dialogues. From Bernard Suzanne. Exploring Plato's Dialogues. Hypertext editions of Plato's middle dialogues with footnote commentary by Anthony Beavers and others. Superb searching apparatus for primary and secondary sources. The Karl Popper Web. From Ray Scott Percival. Presocratics. From Giannis Stamatellos. Also available in Greek. Pierre-Joseph Proudhon. From the Anarchy Archives. Hilary Putnam. From Alberto Gazzola. Also available in Italian. Willard van Orman Quine. From Douglas Boynton Quine. Wilhelm Reich. From Bernd Laska. Jakob Friedrich Reiff. From Dirk Fetzer. In German. Franz Rosenzweig. From Arnold Betz. Bertrand Russell From Cosma Shalizi. Bertrand Russell Archives. From McMaster University. George Santayana. From T.P. Davis. George Santayana. From Herman J. Saatkamp, Jr.
Jean-Paul Sartre. From Denchu Jose Decino. Jean-Paul Sartre From Donald Robertson. Jean-Paul Sartre. From J.P. Morvan. In French. Jean-Paul Sartre. From Paul Vincent Spade. Jean-Paul Sartre. From Christopher Scott Wyatt. Max Scheler. From Manfred Frings. Scotism and Scotus. From the Jacques Maritain Center. Wilfrid Sellars. From Andrew Chrucky. Seneca. From José María Filgueiras Nodar. In Spanish. Peter Singer. From Pablo Stafforini. Thoralf Skolem. From the Nordic Journal of Philosophical Logic. Socrates. An ad for a book but also a set of links to sites on Socrates. From Anthony Gottlieb. Socrates. From Classical Political Theorists. 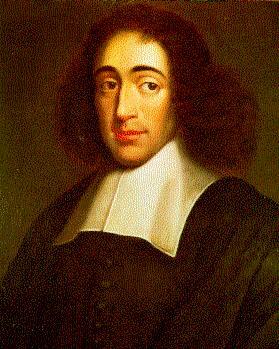 Spinoza. Anonymous. Also available in German and Russian. Spinoza Net. From the Spinoza Research Center. Rudolf Steiner. From James Stewart. Stoics on the Web. From D.J.H. Moore. Max Stirner. From H. Ibrahim Türkdogan. Max Stirner. From Gruesse von Bernd A. Laska. Max Stirner. From Svein Olav Nyberg. Also see the Egoist Archive. Emanual Swedenborg. From Leon James. Emanuel Swedenborg. From The New Earth. Ignaz Paul Vital Troxler. From Hans U. Iselin. Alan Turing. From Andrew Hodges. Miguel de Unamuno. From Joshua Black. In Spanish. Bas van Fraassen. His personal page at Princeton. Ulrich Verster. From J. Rousset. Giambattista Vico. From Giorgio Pinton. Whitehead. From the Alexandria Society. Under construction. The Wittgenstein Archives. University of Bergen. F.J.E. Woodbridge. From James Woodbridge. Arthur M. Young. From Arthur Bloch. Peter Wessel Zapffe. Norwegian existential philosopher. In Norwegian. An English version is forthcoming. Xavier Zubiri. From Thomas Fowler. Xavier Zubiri. From Roberto Hernáez. In Spanish. Zeno of Kitium. The stoic, not the Parmenidean paradoxist.